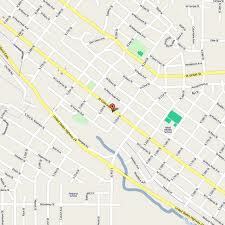 Old Colorado City is one of the most desirable places in town to own a home, and a great place to find foreclosures. Townhomes and Condos in this area can be found for <100K and many are located right in the heart of the action. Single family homes in this area are mostly older, and many have custom upgrades or are ripe for a makeover and range mostly in the 100's. Old Colorado City, or 'OCC' as the locals call it, is vibrant with the spirit of the Colorado lifestyle. Frontier Days, one of the most popular festivals in the region, is held here every year and is a great celebration of the Old West, a time that does not seem so distant here. Other events that are held here are the Great Pumpkin Weigh Off, art walks, farmer's markets, Harvest in the Park and Good Times Car Show. Of course, being this close to the mountains also means excellent outdoor recreational opportunities. Nearby Bear Creek Regional Park, Red Rock Canyon Open Space and Garden of the Gods have miles of trails for hiking and biking, picnic areas, a bike skills area, dog parks, rock climbing and much more. District 11 is the main district here, which as the largest district in the city gives parents and students the most educational opportunities; as well as offering the only public Montessori program for elementary age student’s right in Old Colorado City at Buena Vista Elementary School. High School age students here attend mostly Coronado and Palmer High Schools. Colorado Ave is the main road through Old Colorado City. It provides an easy route to Manitou Springs to the west, as well as a direct route into Downtown Colorado Springs. Uintah Rd to the north provides access to shopping at Uintah Gardens, while Hwy 24 to the south is the main road into the mountains to the west for skiing, camping, fly-fishing, hiking and all of the other activities that make Colorado such a great state. It is hard to find a place that is more steeped in the Colorado frontier spirit than Old Colorado City. With its old west charm, stately homes, eclectic condos and townhomes, shopping, restaurants, festival and outdoor opportunities, Old Colorado City is a great place to find a great deal on a foreclosure. Click here to search all Old Colorado City homes for sale.